KUBINKA /Moscow Region/, August 22. /TASS/. 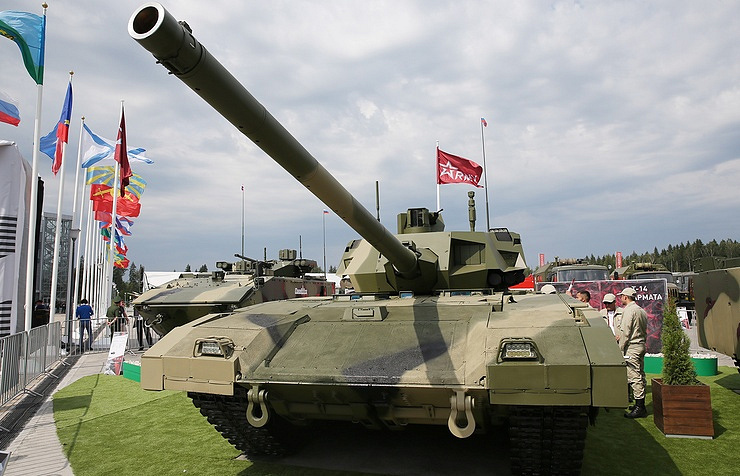 Uralvagonzavod (UVZ), a part of Russia’s state corporation Rostec is ready to create a new heavy tank with a 152-mm cannon on the basis of the Armata platform, UVZ press service told TASS. "There are technical resources to create a tank on the Armata platform," the source said. "The decision is up to the client, the Russian Defense Ministry." The T-14 tank based on the Armata platform was publicly shown for the first time at the Victory Day parade on Red Square on May 9, 2015. The new combat vehicle features fully digitized equipment, an unmanned turret and an isolated armored capsule for the crew. So far, the Russian armed forces are expected to receive 100 such tanks.